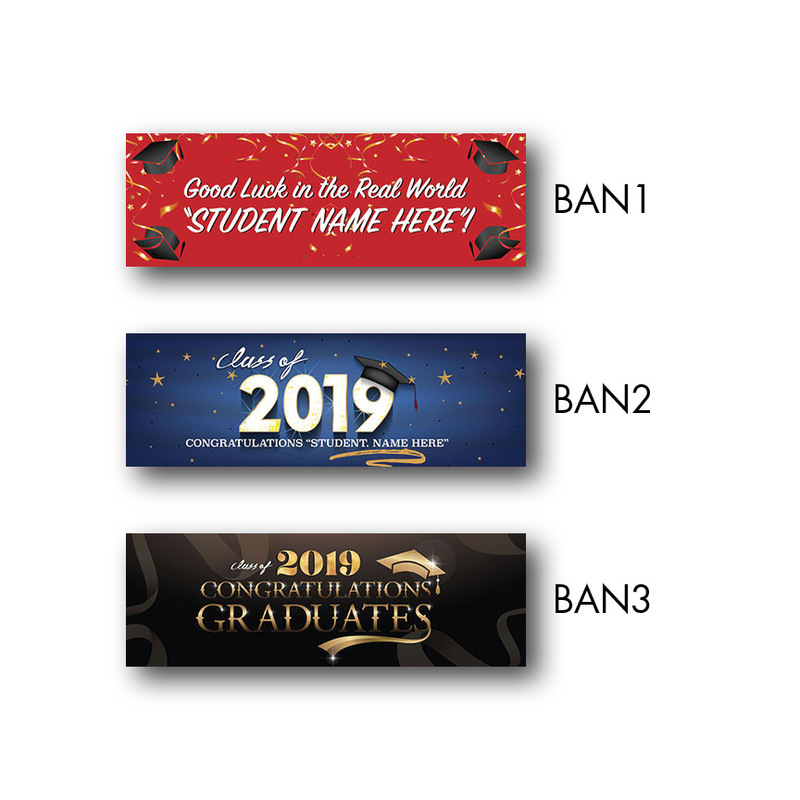 Celebrate your student with pride by ordering a personalized or customizable graduation banner today. Celebrate your student with pride by ordering a personalized or customizable graduation banner today. Graduation banners are a beautiful way to recognize your graduates on their major accomplishment. 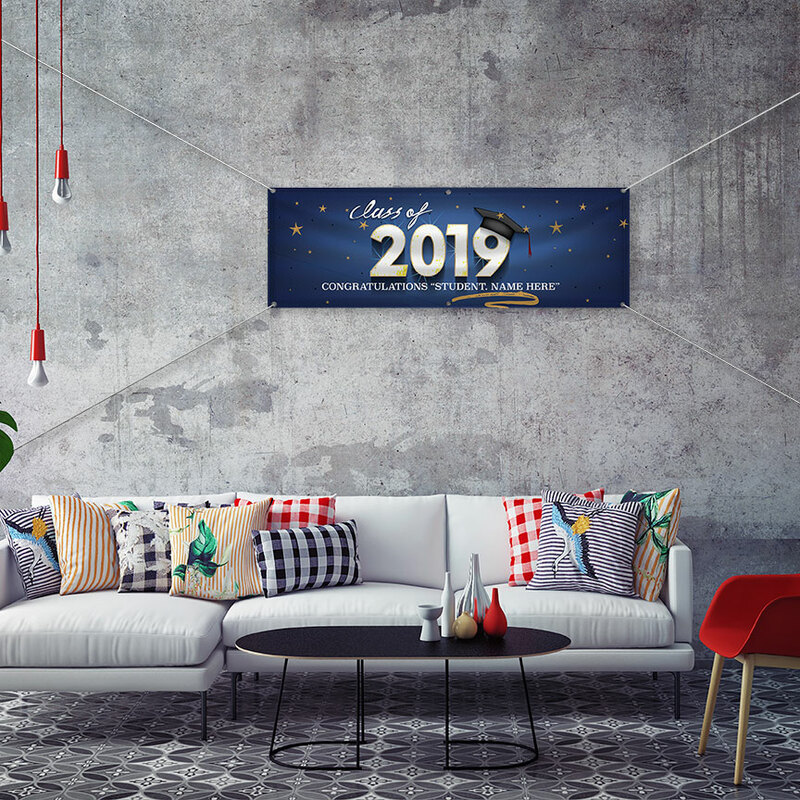 Customize one of our predesigned graduation banners or simply create your own with a special message of congratulations. These graduation banners are printed on our high-quality vinyl, using our brand new state of the art, eco-friendly, wide format printer.